where Aamir Khan’s character is locked in a room while his daughter Geeta Phogat wins the wrestling match at commonwealth games as the National anthem plays.The scene in the film packs an emotional punch and is one of the most poignant scenes from the film. However, Pakistan censor board didn’t want the scene to be there. And Aamir Khan was really taken back by this news. “It’s a sports-based biopic with no direct or indirect reference to Pakistan. The film only highlights India’s nationalistic sentiment, so what is the reason to chop off those scenes?” It was apparently after this request that Aamir Khan decided not to release the film in Pakistan. 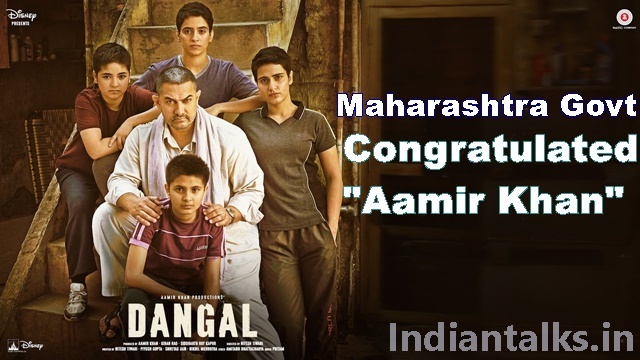 Even though the film might result in about Rs 10-12 crore in the loss, Aamir is reportedly not ready to edit the scenes,” an insider was quoted in Hindustan Times report.The Maharashtra Government has congratulated the Aamir Khan on the same.